Mannochmore distillery opened in 1971 and is located in Elgin, Speyside, in the same grounds as the Glenlossie distillery. Traditionally it has been used as a warehouse to produce spirit for blended whiskies, but now it operates at full capacity alongside Glenlossie, and also produces dark grains for animal feed. 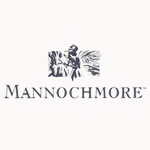 Although rare, Mannochmore has released both independent and official bottlings, but is more commonly the source of spirit used in some of Diageoâ€™s blended whiskies. It is also known to have been the source of Loch Dhu whisky - a huge hit in the 1990s.